Located in the Médoc, half way between Margaux and St. Julien, just west of the famous D2 “Route de Chateaux”, Moulis is one of the six Médoc communes, singled out for the quality of their wines. It takes its name from the many wind and water mills that used to be found in the area. In the 17th century there was as many as 200 wine producers (about double the number that there is today). Moulis claims to be the oldest appellation in the Médoc. The soils of the appellation vary from sandy gravels to cooler clay limestone, stretching over seven kilometers from west to east. It is protected from the humid Atlantic winds by the Landes forest to the west and is three kilometers inland from the Gironde estuary. There are 49 growers producing approximately four million bottles over 600 hectares of vines. 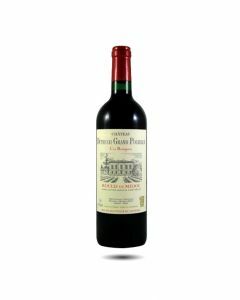 Some of the most well-known chateaux in this appellation include: Poujeaux, Chasse-Spleen, Dutruch Grand Poujeaux, Mauvesin Barton and Maucaillou. The wines produced in Moulis are strongly flavoured red wines with a predominance of Cabernet Sauvignon in the blend. The wines can age well for up to a decade or so.